What Should We Do if A Large Amusement Device Is Abnormal? 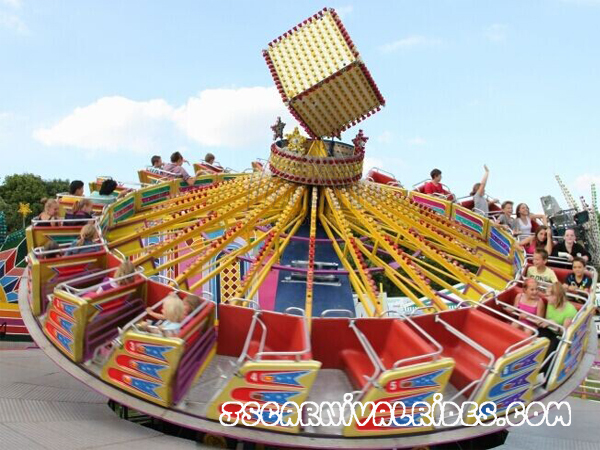 Home News Jinshan Blog What Should We Do if A Large Amusement Device Is Abnormal? What should we do if a large amusement device is abnormal? We all know that a large amusement device is made up of many small parts, and the overall structure is relatively complicated. At this time if there is an abnormality during the operation, what should be done to solve it reasonably ? First of all, The degree of safety hazard caused by different equipment failure points is not same. Zhengzhou Jinshan Amusement factory reminds that equipment operators should not blindly add psychological pressure, on the contrary, more reasonable approach should being tried is to calm themselves down, and then help equipment to stop running to prevent greater equipment and personnel injuries. At the same time, if there are a lot of tourists on the big amusement equipment, the staff should be careful to calm their emotions. In this way, the arrangement of personnel will be more orderly, which will help to spend less time to complete the evacuation of personnel and reduce the personal injury probability. The failure and abnormality of this type of equipment is mostly because the equipment staff did not do a comprehensive inspection and maintenance, resulting in abnormal parts. Therefore, the operator should pay attention to troubleshooting timely after ensuring the evacuation of personnel is completed. Prev： Which Amusement Equipment Suit for The Square Operating ? Next： How to Choose The New Amusement Equipment According to The Cost of Investment?